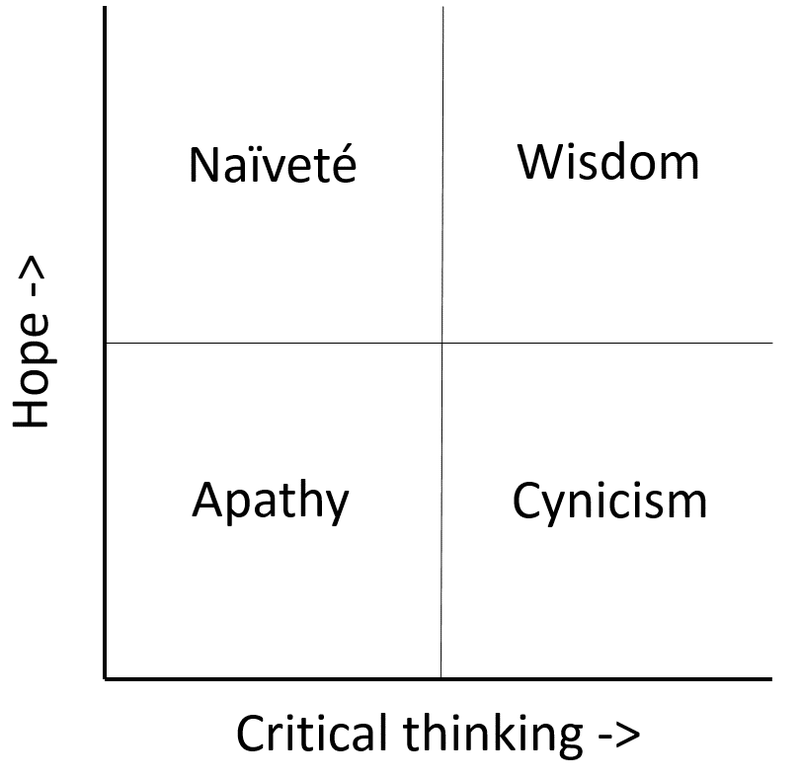 Hope without critical thinking leads to naïveté and critical thinking without hope leads to cynicism. To survive, we need both. 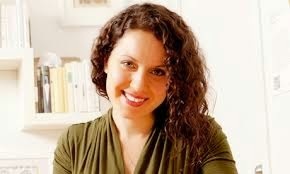 An interesting new article by Maria Popova (photo) contains some valuable insights. One phrase which struck me was: "The assumptions people make about the motives of others always reveal a great deal more about the assumers than the assumed-about." Another one which I like is: "But evil only prevails when we mistake it for the norm." Now that I have written this, I'm contemplating the word wisdom. 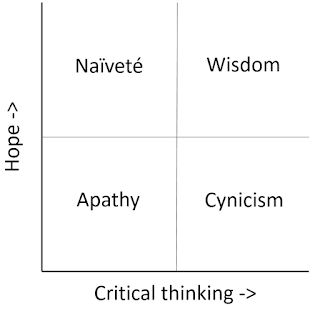 Do wise people indeed combine critical thinking and hope? Which people pop to mind when I am thinking about wisdom? The first examples are: Gandhi, Mandela, and King. All three of them combined critical thinking, which was expressed in their resistance to the established (oppressive) order with hope ("I have a dream"). We can strive to make realistic statements about the past and the present. But it is hard to determine what realistic statements about the future are. Our future is open. How it will be depends to a great extend on our ability to think and act wisely.